ItemBARK_1980.0112.0100 - Group of unidentfied Chinese people on a porch. Item BARK_1980.0112.0100 - Group of unidentfied Chinese people on a porch. Group of unidentfied Chinese people on a porch. Four unidentified Chinese people. 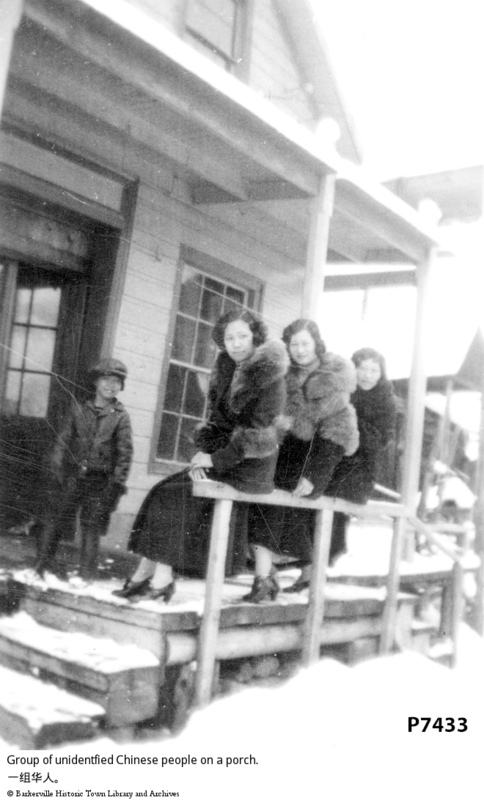 This photo shows three lady's sitting on a front porch in winter coats. This photo also shows a boy standing in a doorway of this house. This photo shows that there is snow on the ground. 8.9cm x 6.3cm The wonam in the middle is Mrs. Lee Chong.